Real Housewives of New Jersey breaking news confirms Joe Giudice‘s deportation back to Italy. A possibility has now become a reality for the RHONJ star Joe, Theresa Giudice, and their daughters. Joe Giudice has spent the last three years serving prison time for fraud. Joe’s scheduled release date from prison is March 14, 2019. Theresa Giudice also served time for her role in the fraud case. In 2015, Theresa reported to FCI Danbury to serve her time. Joe Giudice reported to FCI Fort Dix. An alcohol abuse program was not available at Fort Dix. A transfer was granted. Since the transfer, he’s been serving his time at FCI Allenwood in Pennsylvania. Immigration Judge John Ellington stated, “based upon the law, I find you deportable and ineligible for any kind of relief”. 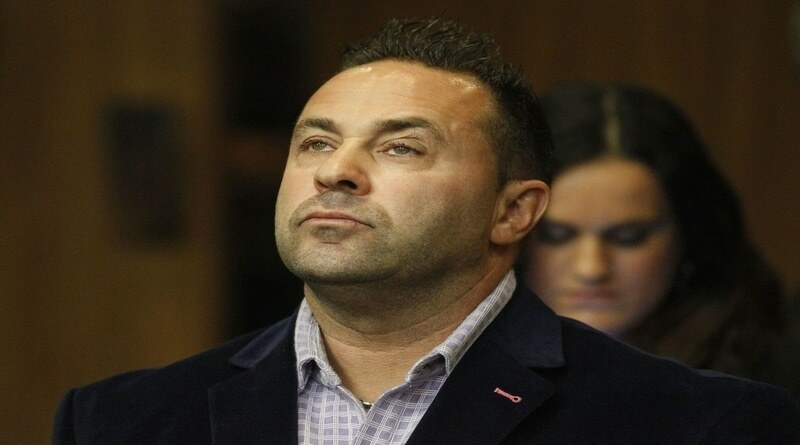 Giuseppe “Joe” Giudice was ordered removed from the United States. Joe has 30 days to file an appeal. Theresa and Joe Giudice certainly shot to fame by appearing on the Real Housewives of New Jersey. However, fame came with a price. As the couple flashed their extravagant lifestyle on television. In reality, that was also their downfall. The RHONJ stars Joe and Theresa Giudice filed for bankruptcy in October 2009. During the course of the proceedings, from 2009 until 2011, they failed to disclose the $110,000 paycheck they received from Bravo for doing the show. The Giudice’s lied to the bankruptcy court, the IRS and numerous banks which led to grand jury indictment for 41 counts of fraud. Since her release, Theresa Giudice continues to do what she does best. She’s been taking care of her daughters and trying to make money. Physical fitness has also become her passion. Today’s ruling at Pennsylvania’s York Immigration Court was understandably shocking and upsetting for Joe Giudice. He did not appear in court but instead via prison teleconference. Joe’s often hotheaded. This morning was no different. He immediately began arguing with Judge Ellington. Joe argued that he didn’t understand how he could be deported. He asked the Judge to listen to his side of the story and claimed he shouldn’t even be here now. Most heartbreaking was Joe’s comment, “I have to go back and tell my kids this, and they’ve been waiting to hear from me.” The Judge responded, “I get no joy in telling a family this news”. Joe Giudice was certainly heartbroken by the news. Devastation will be felt by the whole family. The Giudice family denied it but an ICE spokesman said in June of 2018 that “ICE has lodged a detainer, and he is in removal proceedings.” However, it’s doubtful that Joe and his wife Theresa Giudice really thought Joe would be deported. Real Housewives of New Jersey – Where do Theresa & Joe Giudice Go From Here? The Giudice’s share four daughters together ranging from 9-17 years old. Gia, Gabriella, Milania, and Audriana have certainly suffered the most through this ordeal. First, their mother went to jail, followed by their father and now they face moving to another country or losing their father. The new season of the Real Housewives of New Jersey will premiere on November 7, 2018, on Bravo. Watch the Real Housewives of New Jersey on Bravo and come back to Soap Dirt for the latest Real Housewives spoilers and news. ← ’90 Day Fiance’ – Angela’s Missing Money a Bank Error – Michael a Victim of TLC Editing?